My paint is pretty decent. Just haven't had the money to get a claybar to it to get the roughness off of it. I have a few imperfections in it like black spots of where paints gone and bubbling on my driver side door handle, and little swirl marks where I was trying to fix my headlights with a sand pad. I would love to fix them and get my paint back to it's original glory. Is there a way to do this myself with the paint work or should I just take it to a paint shop and get it done? If the latter, how much would it probably cost? First things first... Post pics. We can't even begin to imagine what's going on without visual aid. 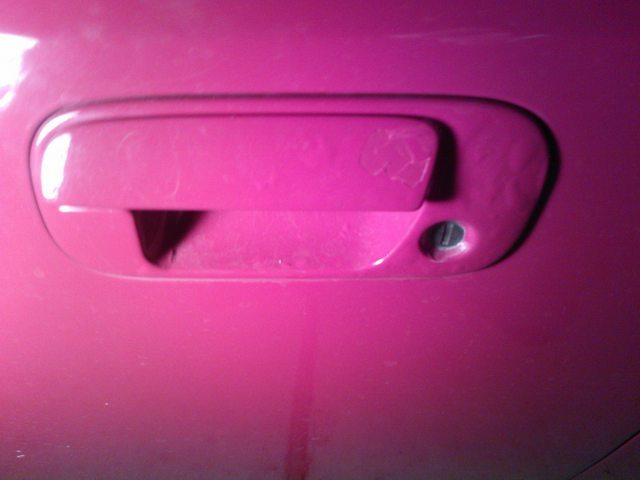 There's no hope for the door handle; it has to be sanded smooth and repainted. 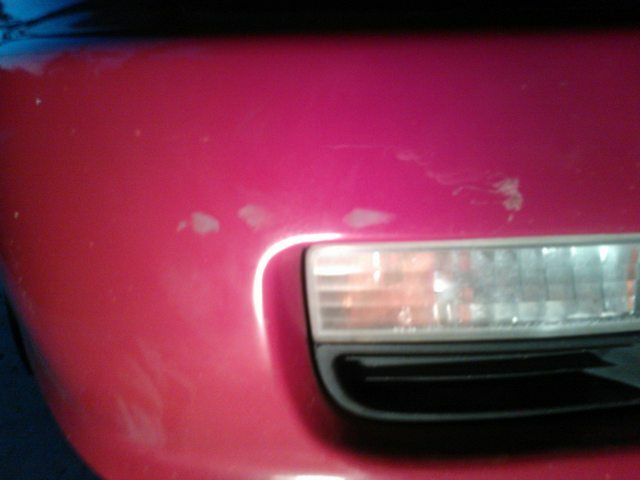 Can't really tell what's going on with the fender, but it looks like the paint chipped off completely. Like I said, can't really tell. The scratches will come out with diligence and polishing compound. The scuffs on the bumper will require a claybar or polishing compound to remove, as long as the paint's still good underneath. I like those headlights!! But yea, Phantom is right. So what's that spot on the front fender? 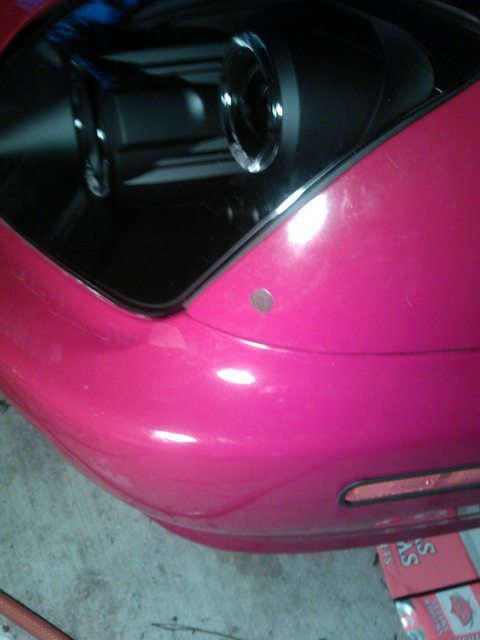 Also, repainting the door handles should be a snap, in all honesty. just missing paint. I think it's chipping there. Is that the original color? Shouldn't be too hard to match if it is.